Home / Dog behaviour / Do dogs like everyone? Who and what a dog likes has many factors. The breed or genetic background of the dog comes into play. Puppies tend to like everyone. It is very important to understand that a puppy is not a dog. A puppy is an immature dog, one that does not have adult teeth and has not yet started their hormonal journey. Even dogs tend to tolerate puppies as they will not other dogs. 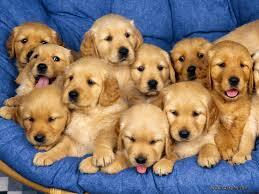 Puppies are, for about 6 months, wonderful, malleable creatures that just live in bliss and happiness. Many will turn into similar natured dogs but not all of them. Another type of dog that tends to bond is the toy breeds. These dogs, beyond being companions, were often mobile alarms. They become extremely attached to their people and only their people. At the end of the day, the basic role we have bred into dogs is that of a guardian. This is why dogs bark at strangers. My dogs know when I get home. They whine, they dance at the door. This is different from when they lay on the bed looking out the window growling a gentle warning at the neighbors that dare walk on the sidewalk in their view. The growl is not viciousness. It is a communication to me that someone that is not THEIRS is out and about and has been noticed. Dogs are very complex, social creatures. They understand many complex levels of relationships. Someone that is welcomed into my home is welcomed by the dogs. Someone that knocks on the door and that I answer with caution is met with a cold stare and that low growl. There are several breeds of dog (and dogs that share the genetics of these dogs) that as they mature will bond to a set of people. Once these dogs bond they have little interest in anyone outside of this set of people. These are guardian breeds and many of them have terrible reputations in this world of pet ownership. This is because these dogs were not bred to be gregarious, social butterflies but keep people alive from other people that would harm them. No. Dogs do not like everyone. They can like everyone. It depends on how you train them. But that is not what most of them are programed to do. Watch your dog watch people. It can be enlightening. They are masters of reading body language and will warn you of the danger around you long before you notice it yourself.